Last year, a friend made a similar recipe to these for a holiday party for teenagers, and they were very well-received. I’m always looking for new appetizer recipes throughout the holiday season. Our family enjoys eating a meal of assorted appetizers while we set up our Christmas tree, and again on Christmas Eve. Sometimes we’ll want another appetizer recipe to bring with us to a New Year’s Eve party too, so it’s handy to have a stack of recipes on hand! 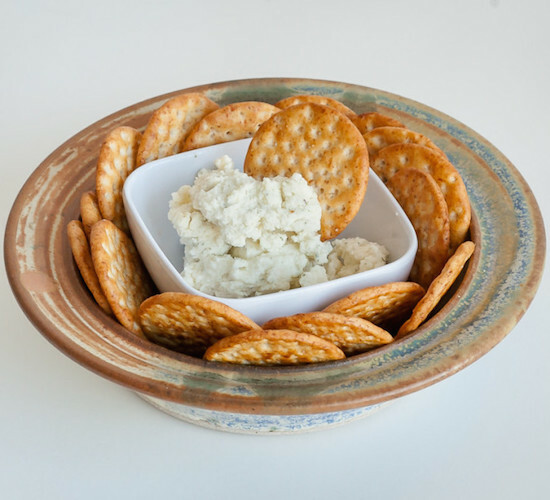 Conebella Farm cheese spreads make this recipe extra flavorful and super simple. I used Conebella Farm Garden Garlic spread, but many of the other flavors would be also be delicious. Try it with Tomato Basil, Cheddar, Jalapeño Cheddar or Bacon Cheddar spread! It would also be easy to experiment with the filling. Instead of roasted red peppers, you could try artichokes, olives, or other vegetables. Be creative and enjoy! Thaw the puff pastry according to package directions. Roll or unfold onto parchment paper. 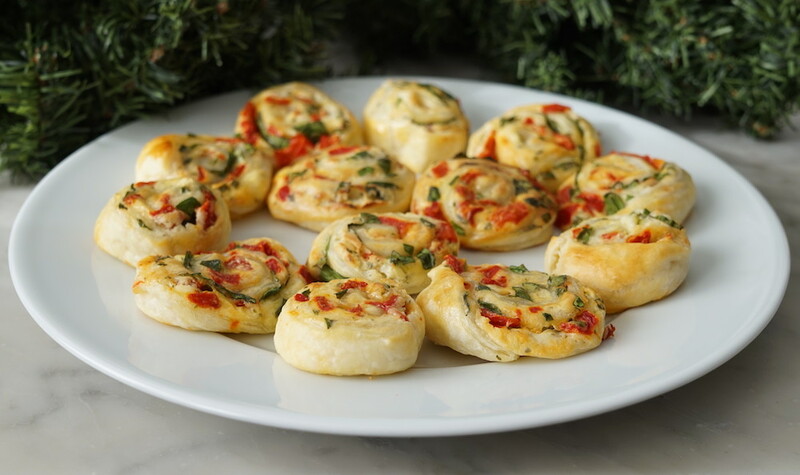 Evenly spread the Garden Garlic Spread or spread of your choice on the puff pastry. Sprinkle on the chopped roasted red peppers, spinach and Parmesan. Roll up the puff pastry into a long tube/roll, then slice into 1-inch rounds. Line a baking sheet with parchment paper. Set the rounds onto the parchment paper. In a bowl, beat the egg and whisk in milk. Brush over the rounds. Transfer to oven and bake 14-18 minutes until light golden brown.